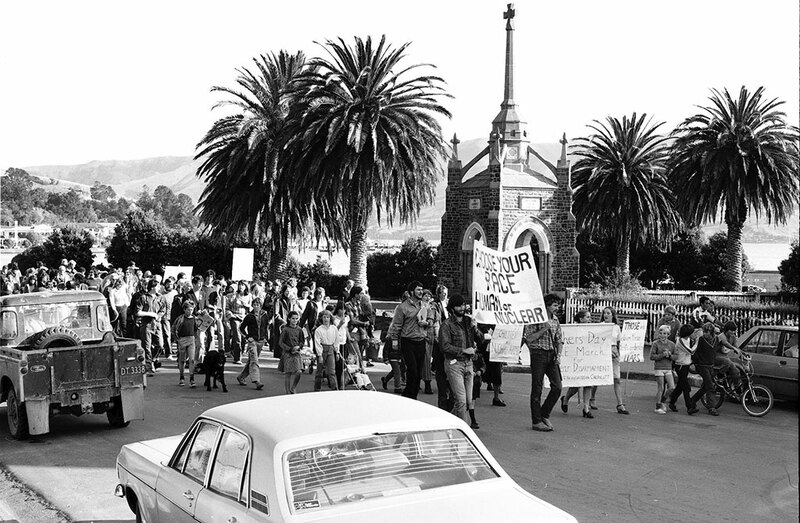 Nuclear free parade, Akaroa, Mothers Day. Kete Christchurch. PH14-JaSh-4. Entry in the 2009 & 2014 Christchurch City Libraries Photo Hunt. Licensed under a Creative Commons Attribution-Noncommercial-Share Alike 3.0 New Zealand License. 1984. Nuclear issues were on every body’s minds during this time. 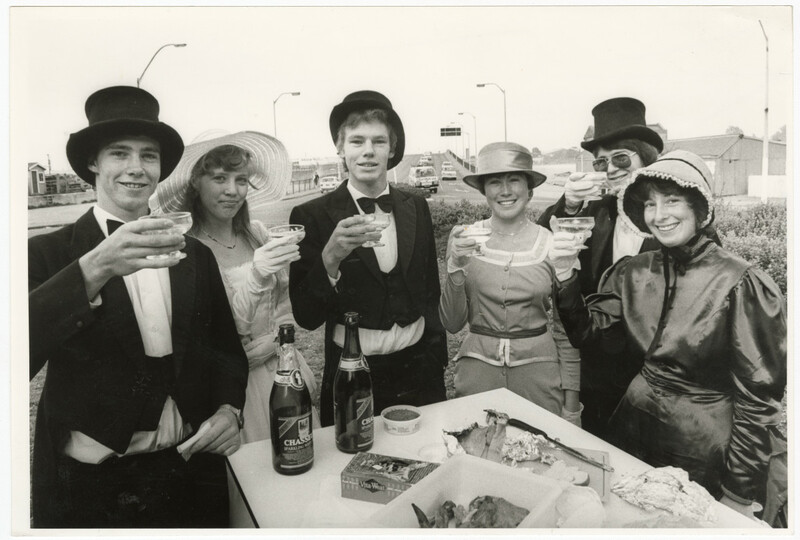 A very strong group of Akaroa and Banks Peninsula people turned out for this parade on Mothers Day 1984. The district’s local body was the Akaroa County Council and a majority of the council members supported the motion that the Akaroa County, (including Akaroa township), would be nuclear free. An opinion poll commissioned by the 1986 Defence Committee of Enquiry confirmed that 92 per cent of the population opposed nuclear weapons in New Zealand and 69 per cent opposed warship visits. The banner carriers leading the way are Paul Flight and David Thurston. 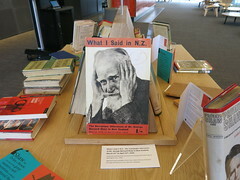 Entry in the 2009 & 2014 Christchurch City Libraries Photo Hunt by Jan Shuttleworth. As we move ever closer to the opening of Tūranga, it can be interesting to reflect and look back on how far libraries have come in the last few decades. Looking at our fabulous digital collections I hit a fascinating and poignant vein of images of Christchurch libraries past. Particularly poignant is this image of staff in 1982 outside the new – now old – central library on the corner of Gloucester Street and Oxford Terrace. It feels very symbolic of change, and hope, and the unexpected – and was recreated in 2013. Another image shows behind the scenes views of Canterbury Public Library from the 1950s. Lots of stamping and binding and indexing going on! I’m glad to say that our wonderful Bindery is still going strong, but I think we look a little different behind the scenes these days – still heaps of books, but much more technology. 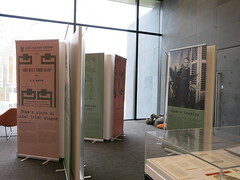 Two more views show cataloguing and processing in the 1960s and 1950s. We still do a considerable amount of cataloguing and getting items shelf ready, but we certainly don’t have tables like that any more, nor do we wear the legendary smocks! I love looking at photos like this. It’s great to look at where we have come from as we plan our move ahead into the future. 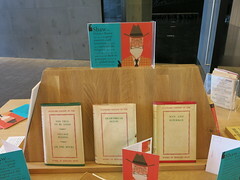 However, as much as we have changed, some things do stay the same – piles of books and librarians working hard to connect you with wonderful content. What were we listening to in 1988? – A musical nostalgia trip! Nothing is as quite as good as music for transporting you back to past times of love, loss, and the gaining of life’s experiences. I know that most of my childhood can be most effectively measured musically! I was suitably shocked to learn that ‘Simply Irresistible’ by Robert Palmer featured prominently in the New Zealand charts waaaaayyyyy back in 1988! I still remember vividly that steady rock beat, the simple, punchy, and catchy tune, the stabby brass section, and those almost-very-nearly-identical dancing/band girls – an astonishing coming-together of style and substance built to last (complete with that awesomely syncopated drum fill that inspired the young drummer in myself!) – it’s in your head right now isn’t it!? And that got me to thinking, “I wonder how many other standout classic tunes that, just like me, are maybe getting on a bit?” and “I wonder what other songs were around at the same time as ‘Simply Irresistible'”? Turns out that 1988 was a bumper year for iconic music! So I made a list to share with you all – I’m referring to it among my colleagues as “A Musical Nostalgia Trip” to avoid having to feel too old myself! This is by no means an exhaustive list of the quality of music back in 1988, merely a list of tunes to hopefully trigger some nostalgic thoughts and memories, and maybe even prompt you into some nostalgic musical discoveries of your own! What we were listening to in 1988! All of these songs listed here could be considered classics and, in some cases, so can the albums that featured them. And as always with music there are so many ways to experience the world of sound, so in this list I offer you CDs, artists’ biographies, live shows on DVD, music press articles, and printed music so you can play them yourself! Get borrowing and set off singing along your own musical nostalgia trip! Bad – Yep, we were groovin’ to ‘The Way You Make Me Feel’ 30 years ago this year. In fact, the first week of 1988 saw the great song at #6 on the NZ charts! Great tune, so cool, and still so good after three decades! Michael Jackson – MJ sure did release some amazing music. 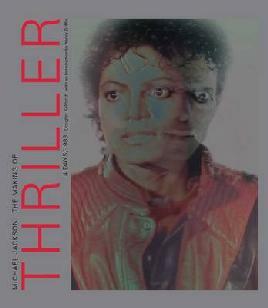 This book looks behind the scenes during the making of ‘Thriller’, with exclusive photographs and insights. 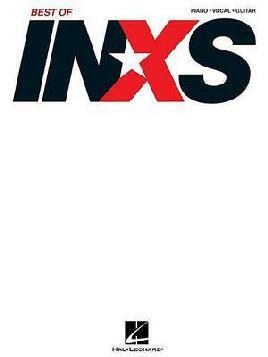 The Very Best – INXS were big in Australia and New Zealand. ‘Never Tear Us Apart’ was, and still is, a massive hit, reaching #11 in Aus and #30 in NZ and still one of their very best – hard to believe it was 30 years ago though…. Best of INXS – Why not celebrate the 30th birthday of ‘Never Tear Us Apart’ by learning to play some of INXS’ other hits! This is music in P/V/G – that’s to say it has music for piano/vocals/guitar to play the tunes listed – get playing! U2 – The latest telling of the U2 story, they gotta mention ‘Desire’ in there somewhere, right?!? Faith – Has there ever been a more widely celebrated breakout solo album than ‘Faith’ by George Michael…!?!? The title track was the first #1 of NZ’s 1988 calendar year! Give it a spin to mark the occasion, and listen without prejudice! George Michael – The most recent account of the life of the iconic singer/songwriter penned by a writer who has all the skills in producing engaging biographies. George Michael: The Lone Star State. By Adrian Deevoy, Q, Jun 1988. Part of Rock’s Backpages. Access All Areas – Big hair, slow-mo dancing, oversized and off-the-shoulder cardies…and Belinda Carlisle – it must be 1988! ‘Heaven is a Place on Earth’ turns 30 in 2018. Belinda Carlisle – Heaven Is A Place On Earth. Official video. Released in 1987, taken from Belinda’s album ‘Heaven On Earth’. Guns N’ Roses – What a debut album Appetite for Destruction was for the band Guns n’ Roses and the standout commercial track on that album was definitely ‘Sweet Child of Mine’! That iconic guitar riff, the snake-like dance moves of Axl Rose – all that hit up to #7 in the NZ charts, 30yrs ago! Guns N’ Roses: Dancing with Mr Brownstone. By Paul Elliott, Sounds, 4 Nov 1989. From Rock’s Backpages. Guns N’ Roses FAQ – Think you know everything there is to know about these rock legends and the music that hit the world rock n’ roll scene like a speeding night train?!? 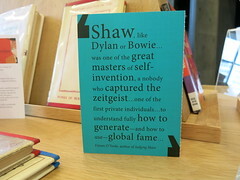 Try this new book out and see how much you missed! 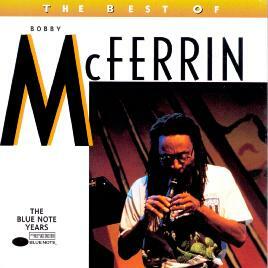 Bobby McFerrin. By Tim Page, Newsday, 30 Jul 1995. Part of Rock’s Backpages, The ultimate library of rock music writing and journalism. Chord Songbook Collection – Learn to play ‘Bad Medicine’ to celebrate it’s 30th birthday this year! It got to #2 on the NZ charts and is there a bigger rock anthem..!?!? 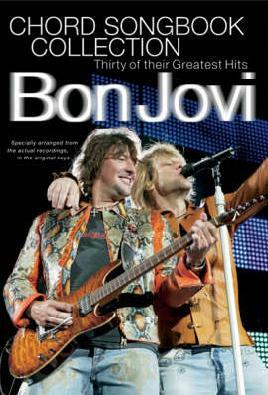 Bon Jovi – The story of the rockers from Jersey. Get some background and context for their penning of ‘Bad Medicine’, 30yrs ago this year. Def Leppard – Working class boys from northern England make it big with one of the biggest albums in rock history, but right now we’re talking about that iconic smash that entered the NZ charts mid-March, topped out at #40, then disappeared. We’re talking about ‘Pour Some Sugar On Me’ a song that had us rockin’ out in 1988! – wrecking ball at the ready! Def Leppard: Loadsamoney!!. By Mat Snow, Q, May 1988. Part of Rock’s Backpages. Easy Acoustic Songs – ‘Fast Car’ by Tracy Chapman is one of those songs that instantly transport you back to where you were when you first heard it – what a beaut song! 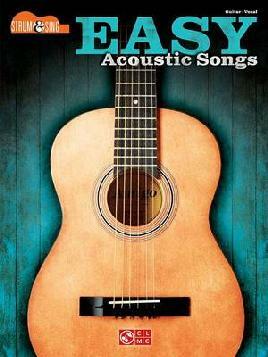 Give it a go on Piano, Vocal, Guitar in this easy acoustics songbook, where it’s jammed in with loads of other tunes you’ll want to try too! She’s Gotta Ticket: Tracy Chapman. By Lucy O’Brien, City Limits, 5 May 1988. Part of Rock’s Backpages. The Very Best of – Gee these boys hit us hard in the late nineties, non bigger than their iconic hit ‘I’m Gonna Be’ which is still shouted as loud as a roaring soccer crowd at any Celtic-themed pub around the world today! It made it all the way to #3 on the NZ charts in 1988 but ran home to #1 in January of 1989, not 500 miles from our featured year by any extent! ….it’s stuck in your head now isn’t it. Go on, sing it! Sunshine on Leith – The Proclaimers songs are so iconic that a musical movie was built around them a few years back. If you’re a fan of the music and you missed this film then you’re in luck as we have it in our collection! 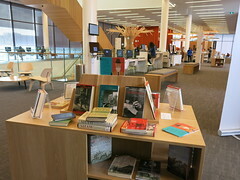 Entry in the 2012 Christchurch City Libraries Photo Hunt. PH12, img104, Creative Commons Attribution-Noncommercial-Share Alike 3.0 New Zealand License. Interior of Terminus Convenience Store, 134 Opawa Road, sometime between April 1986 and April 1989. Italian owner behind counter.